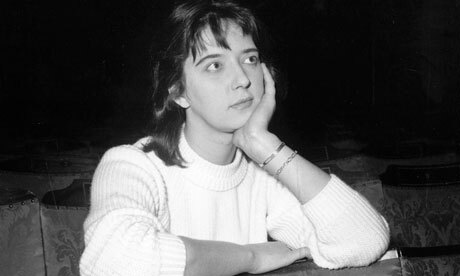 With A Taste of Honey enjoying a revival on the National’s Lyttlelton stage it seems a timely point to revisit one of my earlier posts on this blog, which was written in response to the sad death of Shelagh Delaney at the age of 73. One of the first things to note on coming back to this review is the realisation that even pinning down her date of birth is not clear. The Guardian went with 1939 in their obituary, which fits with the generally held idea that Shelagh was 19 when A Taste of Honey exploded into view but according to the New York Times, and apparently confirmed by her daughter as such, it was actually 1940. Either way a few months here or there does little to change the most remarkable fact about her; that seemingly out of nowhere she produced a play that was gloriously alive, that, in the words of Keith Tynan, ‘smelt of living’. Originally intended as a novel, it was watching late-era Rattigan – enjoying a current renaissance but at the time about to be engulfed by the new generation and held up as an example, somewhat simplistically and most unfairly, alongside Noel Coward as all that was wrong with British Theatre – that sparked Delagny into turning it into a play and sending it down to Joan Littlewood at the hugely influential Theatre Royal in Stratford. Rough around the edges and raw in the middle, A Taste of Honey, was notable for offering not just a working-class but also a defiantly female perspective. At a time when the ‘Angry Young Men’ of British Theatre were setting their mark at the Royal Court; here was a play that shared their world but offered a vibrantly different viewpoint on post-war Britain. Written in 1958 and considering the social mores of the time, it is almost inconceivable to think that A Taste of Honey contained sexual promiscuity, teenage pregnancy, interracial relationships and homosexuality. A critical hit – remarkably for its content it ran for 368 performances in the West End and is perhaps one of the first markers of the shifting attitudes of post-war Britain – and a counterpoint to the masculinity of Osborne, Arden and Pinter, A Taste of Honey secured Delaney’s reputation as a crucial figure in the development of female playwrights. Like many who hit their stride straight off Delagny never did quite reach the same heights again. For a more well known reference point it doesn’t feel too dissimilar to the impact Lauren Bacall made in making To Have and Have Not and The Big Sleep; the image has been made and if you work within it how can you hope for the same peaks, but people will never quite accept too much of a change of direction. Fortunately her legacy lives on in the much admired film adaptation and whilst her influence may have faded it will be remembered in the echoes of those who it did reach. One Steven Patrick Morrisey is quoted as saying ‘I’ve never made any secret of the fact that at least 50 per cent of my reason for writing can be blamed on Shelagh Delaney’. However that can hardly be blamed on Shelagh. Below is a scene from the classic 1961 British adaptation (a welcome time when adapting a stage play wasn’t the same as clinically removing its very soul).